• Ultra-lightweight Kangaroo leather upper construction with strategically placed perforated zones for exceptional ventilation.• Flame resistant Nomex® lining. 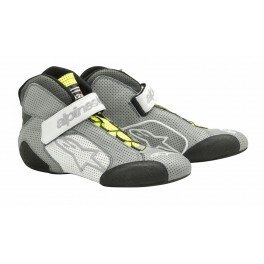 • Lateral forefoot support for improved stability and protection. 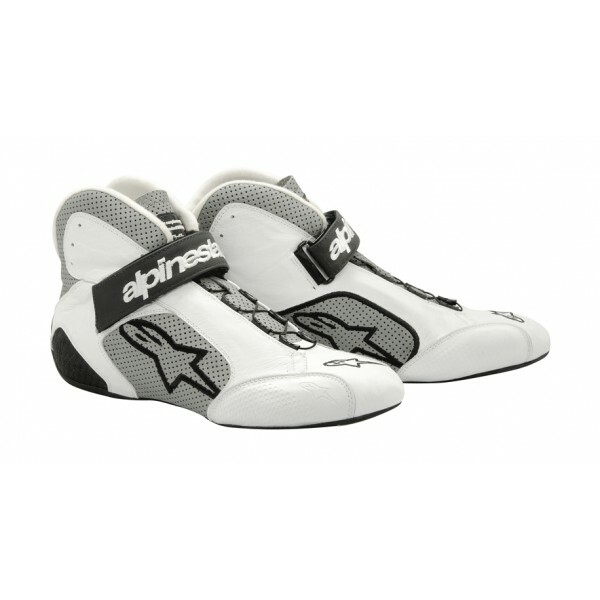 • Innovative Alpinestars foot counter features multi-compound construction for maximum performance: an ergonomic, molded fireproof Polypropylene heel counter provides support and stability inside the shoe, while a flatter forefoot with die-cut ribbing provides greater feel on the pedals. • Exclusive Kevlar® speed lacing system, derived from Alpinestars MotoGP technology ensures quick, precise and secure closure. 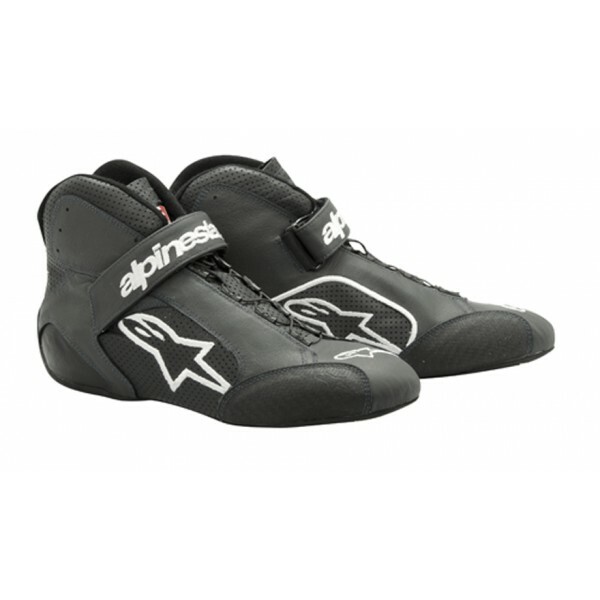 • Alpinestars exclusive thin rubber compound, derived from the Formula 1 race program, is used on the outsole, providing unsurpassed levels of feel and grip. • Lightweight, micro-porous padding around the heel and insole enhances comfort while driving and walking.